My normal made paranormal, my inviolate ordinary faking all this time. When I said I liked Neil Gaiman I should have said I liked the idea I have of his works which is he put modern faces to ancient myths and gives them pop culture voices. I’ve only read parts of Neverwhere and saw the movie Stardust, which is probably not enough to give me good idea of his genius. My Gaiman-fan friends rave about him, going to the extreme effort (for me) of lining up for autographs the couple of times he visited. On the bright side, being not yet intimate with his works (because I do have them TBR) I have not developed any prejudice against other works with similar themes. I can appreciate them from a fresh point of view. 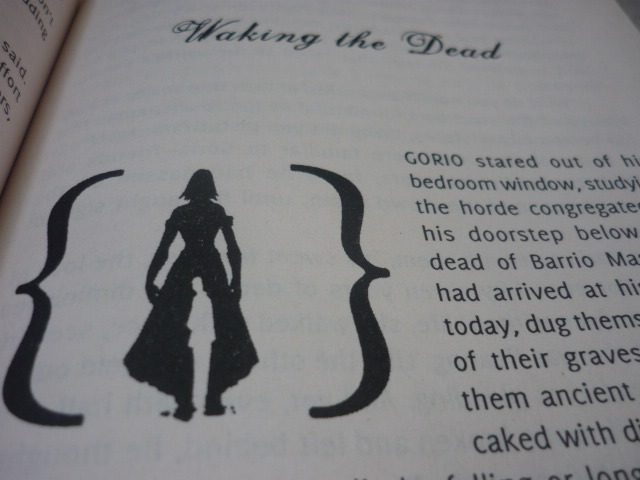 I’m glad because no prejudice interfered with how I enjoyed Waking the Dead by Yvette Tan. RocketKapre lent books by Filipino authors during the first meetup by the Filipino Book Bloggers a month ago. 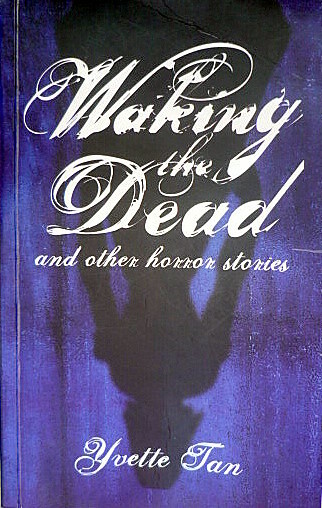 Others got books on speculative fiction while I chose Tan’s collection of horror stories. I figured why not? It was thin, at only 149 pages with maybe size 12 font. A fast read. Normally, its appearance would not have attracted me, looking like the dreaded reading assignments way back in high school when I wanted to read only science fiction and fantasy. Secretly I was afraid it would contain highly literary short stories too rarified for my taste. I couldn’t be more wrong. Not because it wasn’t literary nor written well, but because I had assumed I would be bored reading them. 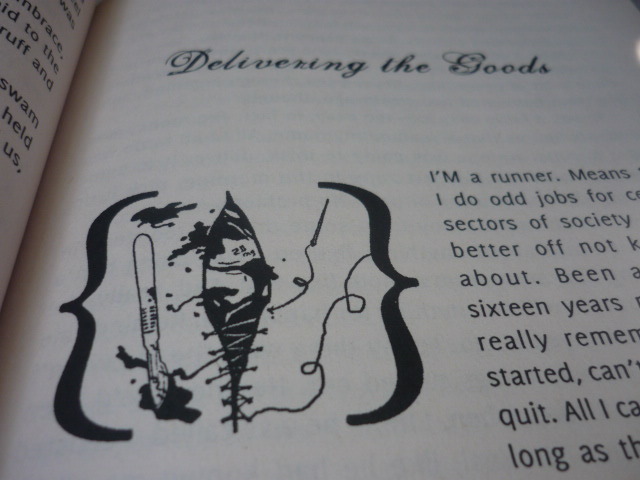 The book flipped open at Delivering the Goods, and I was in shock seven pages later. In my imagination I heard no creepy background music, no dark shadows, just business-like rustlings of equipment and clinical white light. It was horrible. The other nine stories were also good, ranging from weird to disturbing to outright scary. 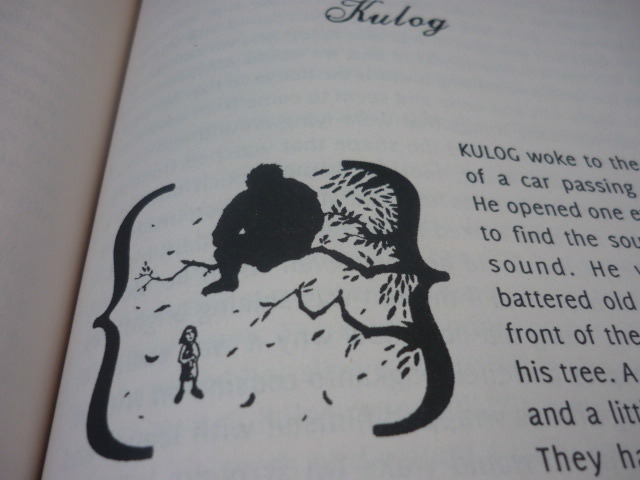 One story, Kulog, about a kapre (a giant tree elemental) who comes to care for a little girl, was very sad. My favorite was The Bridge. Who else can that beautiful but cruel Madame be? 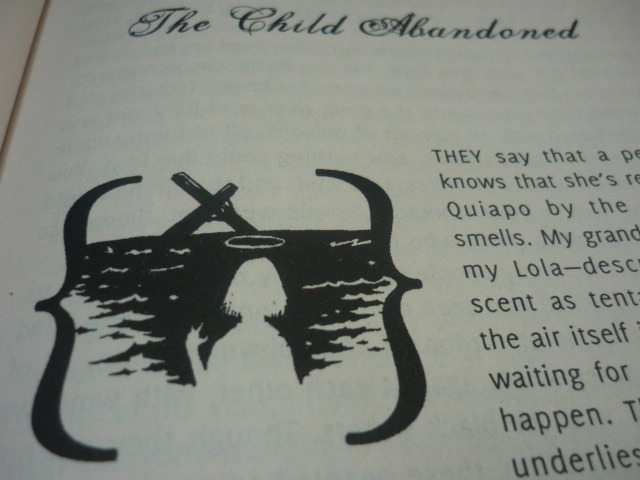 This story recalls urban legends about children sacrificed to make a bridge sturdy. The foundations of major bridges were well watered with the blood of innocents, I heard someone say before. 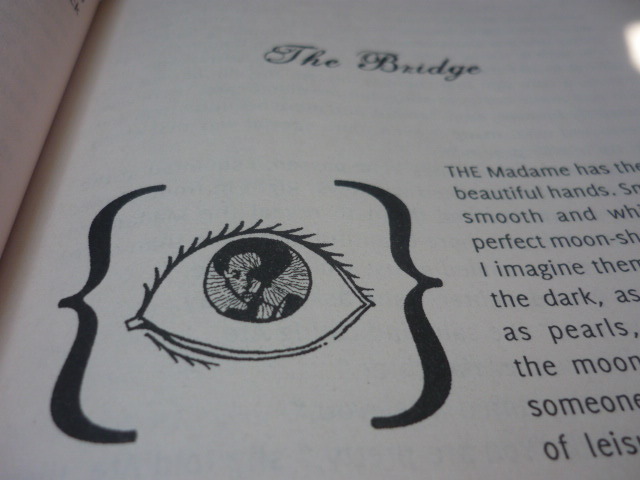 Click here to hear the audio version of The Bridge. 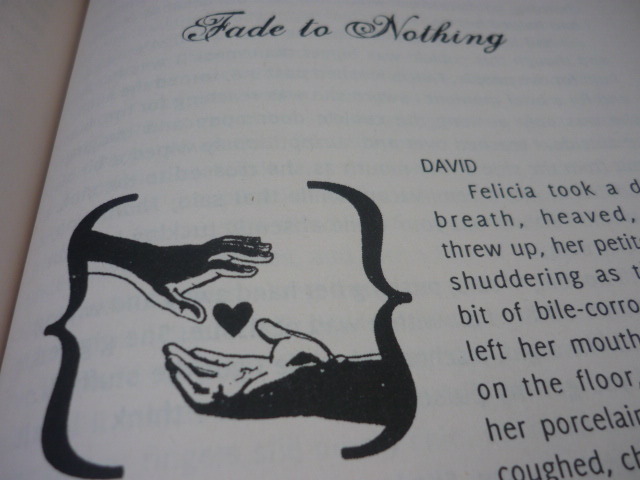 To make sure I am not giving the wrong impression, these stories are dark and ruthless. They are fairy tales for adults. There is sick love and tragic endings. According to some readers, though, they read too much like Neil Gaiman, said RocketKapre. “Just read Neil Gaiman, then,” he quoted. I don’t know about that. 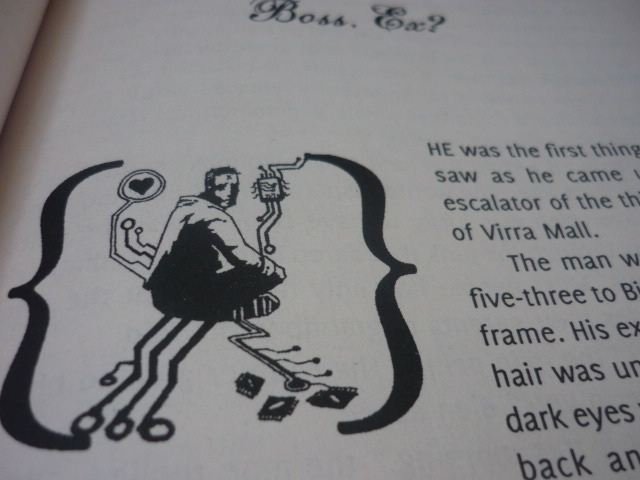 Would Gaiman set his stories in Quiapo, and invented a character selling memories at Virra Mall? If you’re not local you would not get the references. There is an unholy glee in recognizing the familiar in the weird, a major appeal of urban fantasy or speculative fiction in my opinion. I went crazy over the graphic novel-series Trese because of my unholy glee over seeing tyanaks overun Megamall (spelled a little differently in the book) and zombies taking over Makati Cementery… My normal made paranormal, my inviolate ordinary faking all this time. Really, why bow when going head-to-head is much more fun? Give local books a makeover: a little shine and color to covers, strong glue for the binding, improved paper quality, and shelving according to genre right beside Harry Potter, Twilight, and American Gods. Let’s see if readers will continue giving local books a wide berth. I bet a little smart pushing is all that’s needed for local gems to shine, maybe outshine foreign bestsellers. Step up on the unholy glee, you know. I think I’m in for a horror kick this coming November — since horror is my kind of genre thing, no big thanks to Stephen King there — and I’m thinking of adding this book in our book club group read since I’m moderating it. Thanks for the added “push” and your review confirms I’m on the right path. Hope GR peeps will also like this. Yes, this book is a nice choice for a discussion. Maybe you can even invite the author for a Q&A (which should be scheduled after the discussion). I may also attend that discussion if you push through with it. I’m glad you liked the book Michelle 🙂 You may be right about being better able to appreciate the stories as they stand because you aren’t a Gaiman die-hard, although, while I see where those people are coming from, I’ve personally enjoyed most of Yvette’s stories, and I’m someone who is fairly familiar with Gaiman’s work. Regardless, I think that those who don’t read local authors because of a perceived similarity with the style of a famous foreign author are doing the local author, and themselves, a disservice, especially if the Filipino (like Yvette) writes about people, places, themes or concerns that are engaged with as a Filipino. Hi, Paolo. Thanks for dropping by! It’s possible I’m speaking from a position of ignorance. I may become a die-hard Gaiman fan eventually. Until then I get to enjoy books like this. Completely agree with you on your comment about your other comment. Over the years I’ve felt some shame about being ignorant of books by new Filipino authors. I thought it was my duty as a Filipino to read their works. Glad to discover that reading the current crop wouldn’t be such a chore after all. 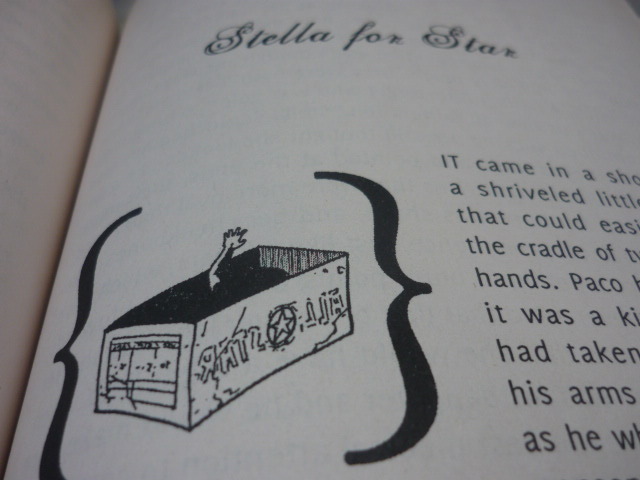 I have loved Yvette Tan’s work since I read her Stella for Star when it was submitted for a local competition. I am not a big fan of the genre, but I enjoy reading Yvette’s stories because of the way she turns horror into something lyric. Hi, dementedchris! How’s Maul? Has he been to Marrakech? Or Istanbul? They’re my dream destinations. Is Maul in Manila right now? I’d like to invite him to a book discussion on The Pillars of the Earth by Ken Follet on Saturday afternoon. Venue is San Sebastian along Recto. Hope he and you can make it! Shucks, too bad. Well, there’s always a next time. Thanks! Hi, Mich! Where can I get this book? Hi, Kyusireader. Our local bookstores carry them I believe. If you can’t find one let’s ask Paolo where to get a copy. Or you can head on over to Taking a Break for the chance to win a copy. All you have to do is recommend a horror book by a Filipino to win. I got to read Time for Dragons (kaso na-Ondoy) and I’m definitely gonna look for this one. I got to read Time for Dragons also. I’m so glad I started this blog. So many excellent book recommendations are coming my way. Sorry about your book. Ondoy devastated many. The casualties included thousands of books. Just stumbled upon your post. Wow, you sold it to me. Can’t find the books from where I’m based though (London). But hopefully I’ll be visiting the Philippines again soon. Wish me luck that the books are in the shops.